The line was out the door the day Joshua Maggs opened Addicted to Christmas. 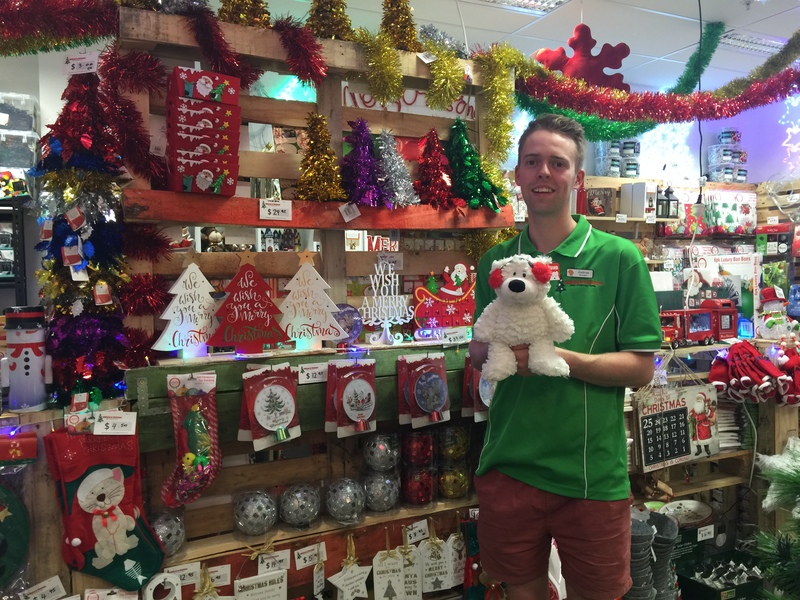 800 Christmas lovers came through the shop, excitedly snapping up decorations and unique gifts almost two months before the holiday, something the Bachelor of Business (Accounting) graduate never thought would happen. We’re at the little shop in the Bendigo Bank Central building, surrounded by as many Christmas items as you could possibly imagine. It’s a magical sight, one that’s been years in the making. 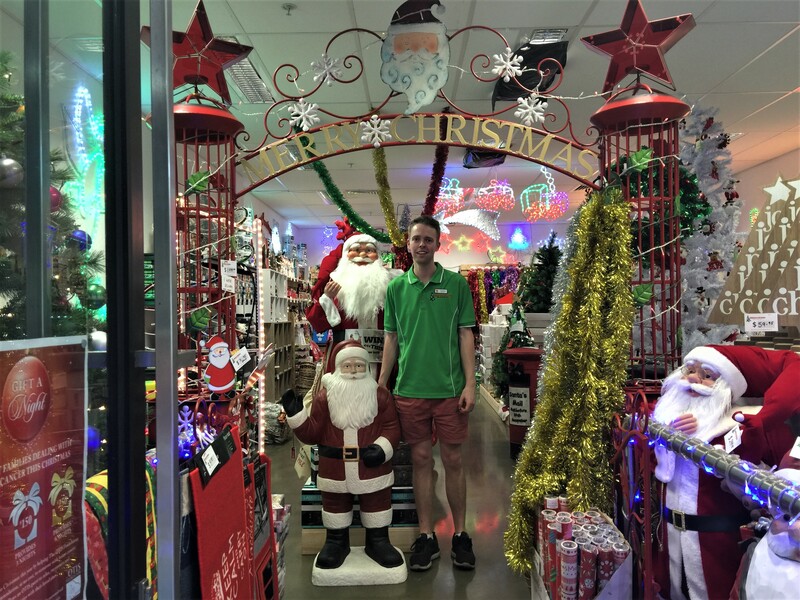 Joshua started Addicted to Christmas as an eBay business during his first year of university in 2014, using the family home as his headquarters. Boxes were everywhere, but his parents didn’t mind too much. Their own business pursuits inspired Joshua to start his. His other key inspiration was his late grandmother, who ingrained a deep love of all things Christmas into him at an early age. Flashing forward to 2017, Joshua graduated from La Trobe University Bendigo and was looking for full time work. Rather than letting rejections shake his motivation, he threw himself into the online Christmas store to see where it could take him, while also completing bread deliveries for a local business. One of the chefs he worked with suggested opening a pop up shop over the festive season, however once he found the available space in the Bendigo CBD, Joshua decided to open year round. He knew the need was there – the online store was thriving, especially in July when most items sold out. A physical store was a humongous step up, but he had been preparing for it for a long time. In most people’s minds, accounting and a Christmas shop don’t mix. However, Joshua is thankful for the variety of skills he acquired during his degree, as they have allowed him to be more independent with his business. Two months on from the hectic opening day, the shop is rarely quiet. As we’re chatting, multiple people come through the store, one even saying ‘see you next week’ after making a purchase. Joshua is still in disbelief. “It’s weird coming to work and it’s not even really work. It’s my shop. I’m not working for anyone, I’m my own boss. I can come in when I want, wear what I want. I wore thongs the other day,” he laughs. When asked if he sees himself running Addicted to Christmas for the rest of his life, Joshua is confident with his answer. “Absolutely. But if it’s not this forever, it would be another business. I’m always coming up with ideas,” he says. One of his ideas is a clothing brand that would allow anyone to submit their creations, helping wannabe designers get started in the competitive industry. Another would benefit the online portion of Addicted to Christmas. No matter what Joshua does in the future, he wants giving back to be at the forefront. Even now, in the early stages of the business he is donating a percentage of profits to local charities, and one of his staff members is employed through mental health foundation Headspace.